The Debt Records team has just returned from the Aragon region of Northern Spain, where almost all our acts (plus others from across the globe – spanning every conceivable artistic discipline) gathered to celebrate the final Kuiperfest, an all-acoustic festival hidden among the olive groves of the Mattaraña mountain range. The festival is one of the most welcoming and challenging events an artist can be involved in (as well as the most secret) – there are no lighting rigs, stage props or effects pedals, not even amplification beyond the terraces’ natural acoustics. All a performer has is their material and the trust of a listening crowd. To say that the festival is “no-nonsense”, however, would be grossly inaccurate… with turns from the Navet Bete clown troup and the Something Something puppetry duo there is certainly plenty of nonsense – though nonsense of the finest caliber. Over the years the Kuiper showcase has led to collaborations, international tours and Fringe Festival residencies for those that have taken part. 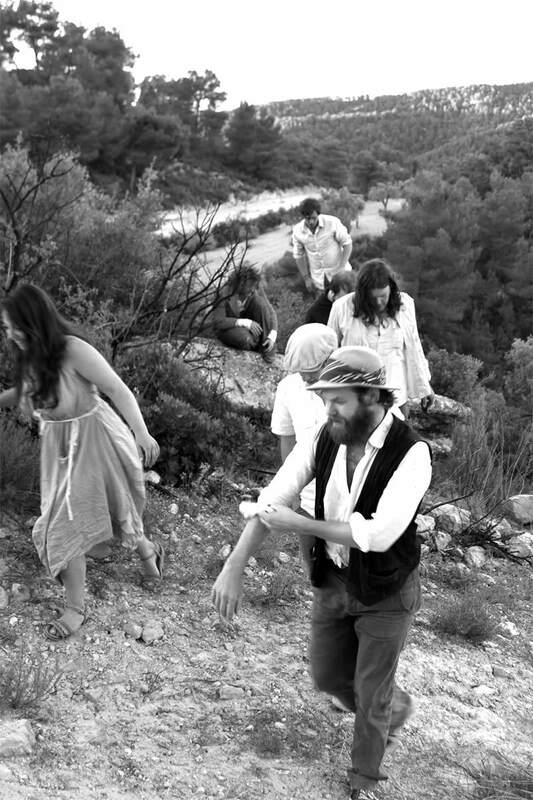 David Rybka and Louis Barabbas, for example, found themselves with bookings in Mexico, Alabaster dePlume ended up performing alongside a string quartet and contemporary dancers, Biff Roxby became Monkey Poet’s producer and a lot of drunk musicians fell down a ravine (but that’s another story). This year’s Kuiperfest was always set to be the final instalment. Its founder Jon Bonfiglio (producer, playwright and author of the “Movement and Memory” lecture series) was adamant that one cannot sustain the innocence of such an event indefinitely. Anyone who has watched the metamorphosis of festivals like Glastonbury over the years will no doubt agree. We are overjoyed to announce that Debt Records has now signed the wonderful, incomparable Honeyfeet. We’ve been hoping this would happen for some time now, as they really are one of the greatest outfits on the gig circuit. We’ll be properly updating the website in due course to make room for their formidable boots to sit comfortably in the label’s hearth. Manchester independent label Debt Records is offering you a Valentine’s Day gift that’ll outlast all those bouquets and boxes of chocolate (and probably the subsequent marriages and children too). 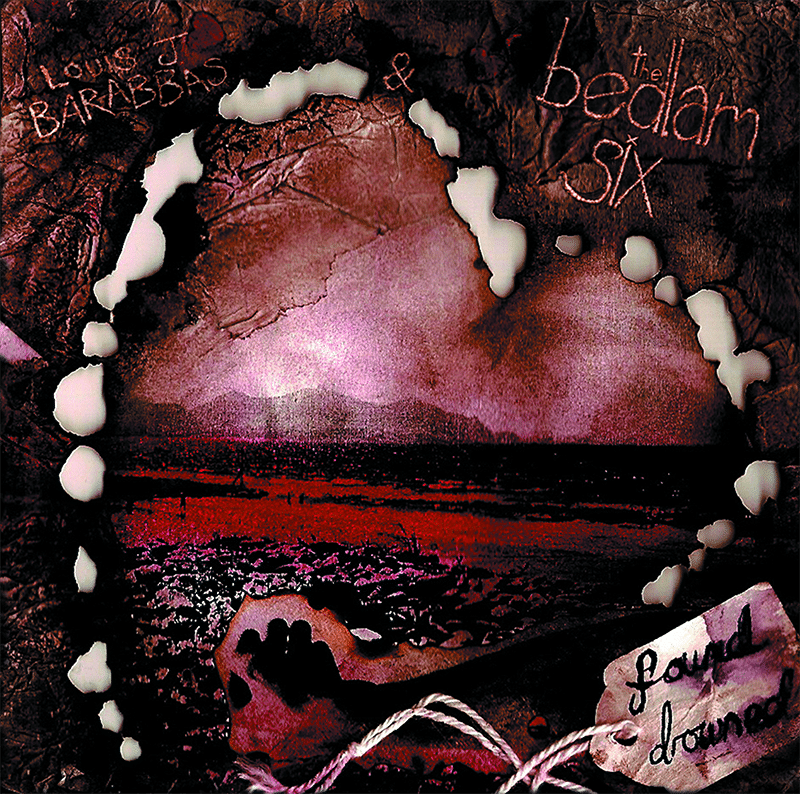 Louis Barabbas & The Bedlam Six’s debut album “Found Drowned” is available on 14th February 2010 absolutely free. The twelve track LP – recorded over the course of a ten-day caffeine blur in a crowded Withington house – was completed in January 2008 and is only now being officially released after two years of the band flogging clingfilm-wrapped hand-illustrated versions for petrol money at gigs. 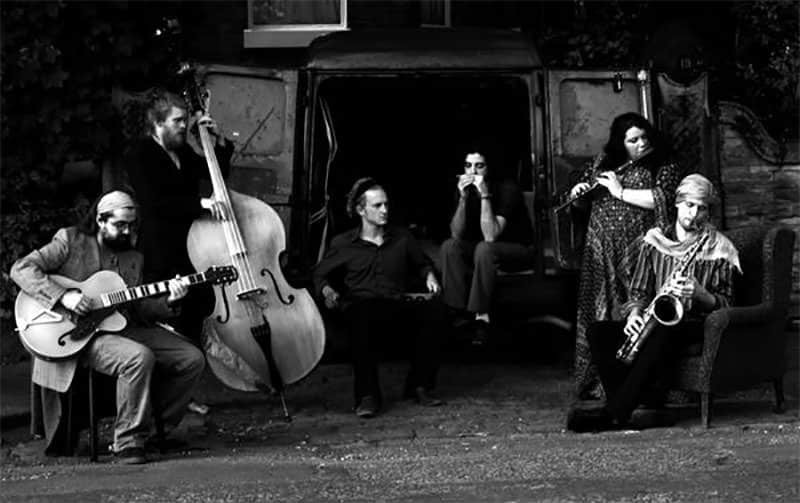 The group have achieved much acclaim since their inception in late 2006, playing with the likes of Supergrass and Motorhead, rubbing shoulders with jazz veterans Sun Ra’s Arkestra, adapting poems by John Cooper Clarke and even winning the support of the Hell’s Angels. In spite of this success, however, the near constant destruction of instruments, vehicles and equipment has meant that there’s never been enough money left over to press a record. Luckily for the band, The Community Foundation of Greater Manchester recently decided to help out and this long overdue album will at last be on general release. But why give the record away for free? On Valentine’s Day of all days? The songs – gleeful romance tragedies that range from swing to folk to rock and back again – are peppered with love metaphors that you’d be hard pressed to find in a Hallmark card (such as “Relationships are like chickenpox, you’ve got to get immune when you’re young”). This is the crux of the giveaway – it requires an act of creativity on both sides: Go to Debt Records website, fill out the contact form with the subject “Love Is…” and send off your own definition (or leave the space enigmatically blank) to receive a secret “Found Drowned” download key to the tracks and artwork.